From down by the river we saw 7802 heading south towards Arley, soon after 7812 headed north. Up at the station, 46443 plus 1 coach on Footplate Experience crossed with D821 s/b on the diesel turn. Final trains seen before heading home were 7802 n/b crossing with 5164 s/b. 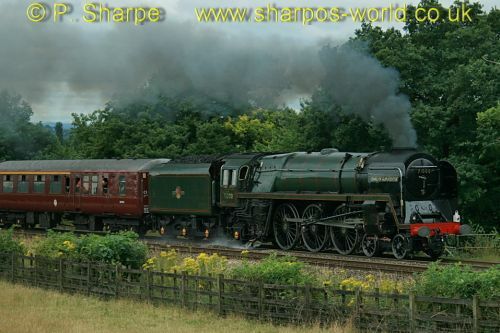 This entry was posted in Severn Valley Railway on July 31, 2010 by Sharpo. You may have noticed that I haven’t been taking so many photos at the SVR recently. It is not easy finding something that hasn’t been photographed before, so sometimes I just watch the trains go by. Occasionally I grab the camera at the last minute, as happened today when I noticed 43106 with a wreath on the smokebox, no doubt due to the sad news about John Leach yesterday. Other photos show D821 on Footplate Experience & “Prince” on display in The Engine House. This entry was posted in Sharpo's World Photo Updates on July 30, 2010 by Sharpo. Saw all 3 service trains today. Locos were 5164, 7802 & 43106. 46443 was on Footplate Experience with 6 coaches. This entry was posted in Severn Valley Railway on July 29, 2010 by Sharpo. Only saw 2 of the trains today at 1.15 at Bewdley, 43106 was heading towards Kidderminster & 7802 the opposite way. This entry was posted in Severn Valley Railway on July 27, 2010 by Sharpo. Originally planned for 60163 “Tornado”, which currently has problems with some of the firebox stays, 71000 “Duke of Gloucester” was the replacement loco. The tour started in London, 71000 coming on at Gloucester and hauling the train back to London via Leicester & Bedford. The load was probably too heavy for a single steam loco and the Class 66 diesel at the rear was providing assistance as the train passed by, at quite a speed! This entry was posted in Sharpo's World Photo Updates on July 26, 2010 by Sharpo. Usual routine, down by the river and saw 5164 s/b. At the station, 5764 was n/b and 46443 s/b on Footplate Experience. Then 7802 on the Limited n/b & 43106 s/b. We hung around drinking another cuppa and saw the Venturer with 5164 heading north. After saying our “goodbyes” we headed home, but hadn’t got very far when I heard the sound of a diesel, racing back up the hill just in time to see the pair of 20s running light towards Highley. Never a dull day up the Valley! This entry was posted in Severn Valley Railway on July 25, 2010 by Sharpo. Walking by the river at Arley we saw 7802 southbound, then 43106 northbound. Up at the station, D1062 was s/b on the diesel turn and the last trains we saw were 7802 n/b which crossed with 5764 s/b. 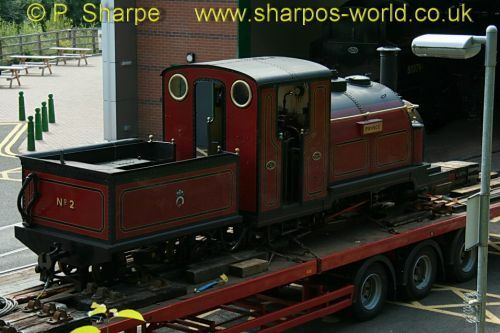 This entry was posted in Severn Valley Railway on July 24, 2010 by Sharpo. A day trip to Crewe via Shrewsbury. 44871 was heading south with support coach for the Cambrian trains this summer and the West Coast 33 was bringing the stock from Carnforth. 44871 would then haul the train from Crewe with the 33 on the rear. 46233 was running from Butterley to Crewe with support coaches. After seeing the trains at Crewe, I headed for Shrewsbury to see 44871 again. This entry was posted in *Latest news by e-mail on July 23, 2010 by Sharpo. Just “watching” today – well, it was dull & I’ve taken photos in just about every possible position by now!! Locos seen at Bewdley were 5764, 4566 & 7812. This entry was posted in Uncategorized on July 22, 2010 by Sharpo. When I arrived at Highley, 7714 had already been moved out of The Engine House and “Prince” was on a low-loader and would be unloaded later in the day. Only a couple of photos of “Prince”, the others are of the service trains hauled by 4566, 5764 & 7812. Also seen are D3022 & 7714. Back at Kidderminster a couple of shots of Wrangaton Signal Box. This entry was posted in Sharpo's World Photo Updates on July 21, 2010 by Sharpo. This entry was posted in *Latest news by e-mail on July 21, 2010 by Sharpo. Made it to Bewdley by bus today, the plan was not to use a train – but that failed when the 240 did not run and I had to catch a train to Stourbridge, then the “dodger” down to the Town station. The new Whittle bus service from Stourbridge took me to Kidderminster, then another bus to Bewdley followed by a walk to the railway station. It’s much easier by train! My train for Kidderminster arrived behind 7812, just as 5764 arrived at the other platform. I was back just in time to catch the last Whittle bus to Stourbridge, which left Kidderminster at 2.45. What an experience! 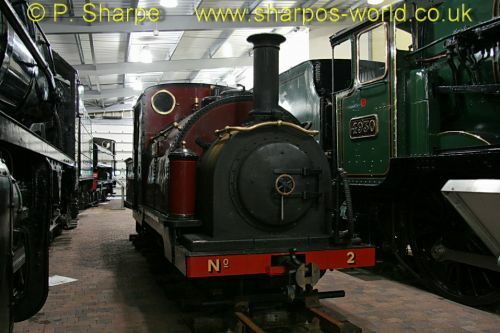 This entry was posted in Severn Valley Railway on July 20, 2010 by Sharpo.